How Often Should A Small Business Blog? 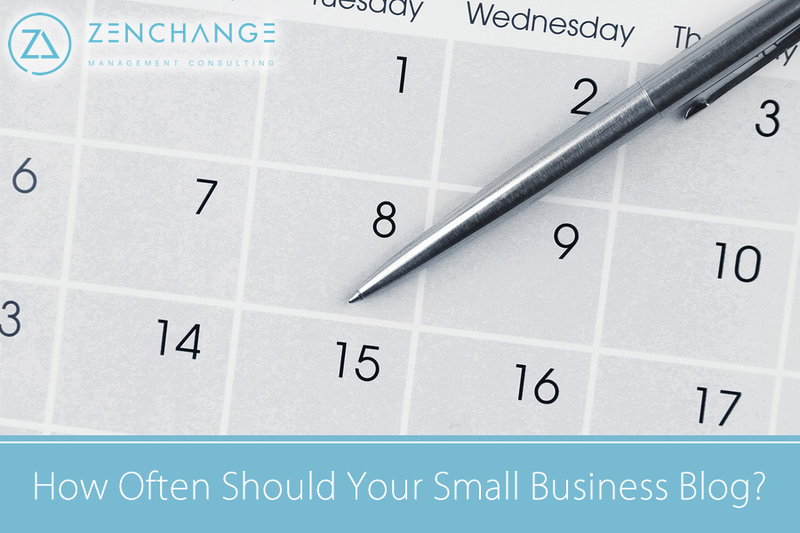 Blog How Often Should A Small Business Blog? So the question is, how much writing do you really need to do in order to achieve these objectives? If your objective is to gain website traffic then the answer is clearly more is better. But in some cases a small business may simply want to maintain a presence and show that their doors are still open if someone checks out their website. A last blog date of December of 2014 clearly won’t send out the feel good vibe to potential clients. Overall though the key to blogging for small business is consistency. Marketing guru Seth Godin blogs every day without fail. Business sage Robert Kiyosaki of Rich Dad, Poor Dad fame blogs about 12 times per month. My recommendation is that if you simply want to make people aware that the lights of your business are still on, blog once per month as anything less is suspect. If you’d like to be able to produce a more interesting newsletter each month and keep the content on your website looking fresh to visitors, then add a second blog per month. If you want to catch the attention of some new followers who may be inclined to add your blog to their RSS feeds so they don’t miss a post, then increase to weekly. And if you want to really bump up your inbound traffic then go for 3 times per week. How long is that? Usually about 500 words or 2-3 paragraphs, but I have seen Godin publish blogs as short as a couple of sentences. Of course given that he publishes daily he can get away with extreme brevity in some of his posts. The important thing is to get blogging! And if you need help, check out our small business social media services which include blogging.